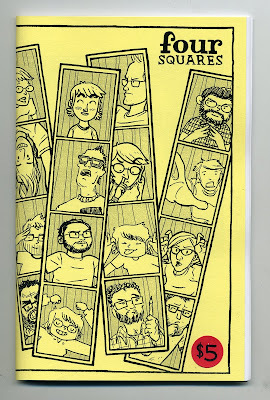 Joe Quinones' interweb-log: SMALL PRESS EXPO: 2K8! Man oh man. It has been a while since my last post! ...My apologies, dear friends. At least some of the blame for my month long blog absence can be rested on my efforts in gathering up and finishing comics work for the Small Press Expo (SPX) in Bethesda, MD last weekend. The event has come and gone finally, and was loads of fun as always. 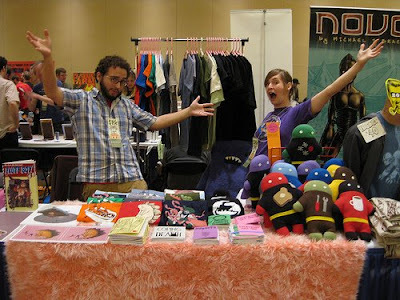 Maris and I manning our table. 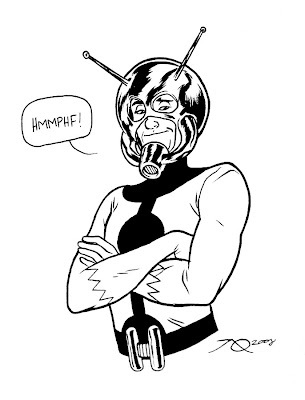 An Ant-Man commission I did on Saturday - my first time drawing the character. We also debuted a few comics as well. Fluffboy, as mentioned previously on this blog and yet another comics collaboration. 'Four Squares' is a journal comic compiling the talents of Maris Wicks, Liz Prince, Tim Finn and myself. 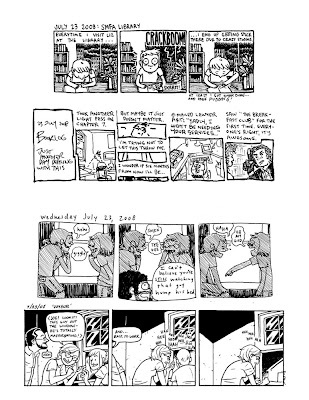 For the month of July this past summer, the four of us decided to each draw a daily journal comic to be later collected as a mini for SPX (and beyond). It was my first time doing such a thing, but I thought it was a lot of fun. Here's a sample spread from the book. I think i will get to that tomorrow! Dang! I didn't know you were at SPX! I woulda totally bought some stuff! I absolutely adore your artwork. My friend went to APE and he got me the comic Four Squares, and I am so in love with your style! Ahhh! Also, I notice you draw yourself left-handed, are you? You also had a lot of movie references. That's very cool, because I'm something of a fruitcake when it comes to film. I am. I love your stuff. I can't wait until I can see some more of it. Keep making comics! You're really very wonderful at it, and I'm going to try and get ahold of your stuff as soon as possible. Thank you so much! Consider me flattered. To answer your question- yes, I am left handed. And I'll certainly keep making comics. I love them, too.